Ja Ja Ja Germany: April line up revealed! April will see Ja Ja Ja return to Hamburg and Berlin with three artists that you seriously, SERIOUSLY can't afford to miss...! Following a raucous return to Hamburg and Berlin in March 2016, Ja Ja Ja is thrilled to announce the line up for the next edition of Ja Ja Ja Germany! 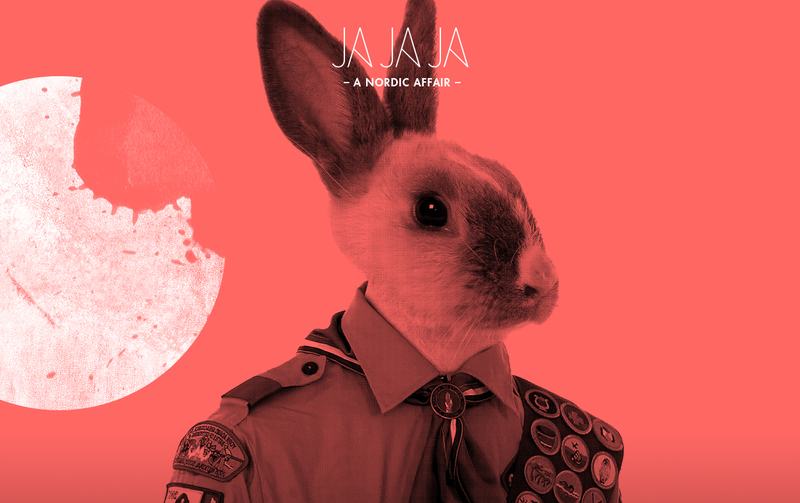 After a winter break, Ja Ja Ja returned with full force in March to bring unmissable new Nordic music to stages in Hamburg and Berlin. Performing to packed audiences in both locations, Liss [DEN], dePresno [NOR] and Tussilago [SWE] brought crowds to a standstill, as their debut German shows laid bare the incredible talent that these three emerging artists had to offer. Our beloved Berlin audience was also treated to a performance from Blaue Blume, who returned having unfortunately had to cancel their performance at the Ja Ja Ja Julefest in December. Not ones to rest on our laurels, we’re now extremely excited to reveal the line up for the April editions of Ja Ja Ja Germany! 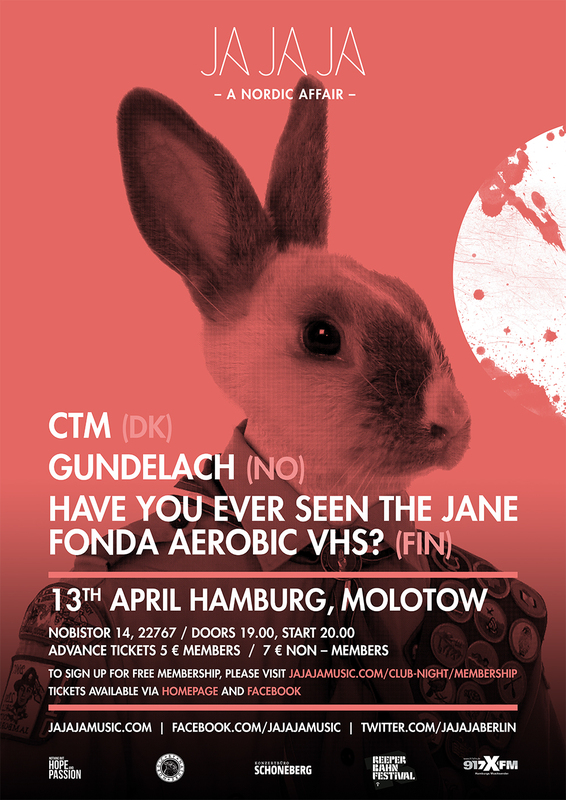 Joining us at Molotow in Hamburg and our new Berlin home of Musik & Frieden will be Danish creator CTM, Norway’s Gundelach and Finland’s Have You Ever Seen The Jane Fonda Aerobic VHS? 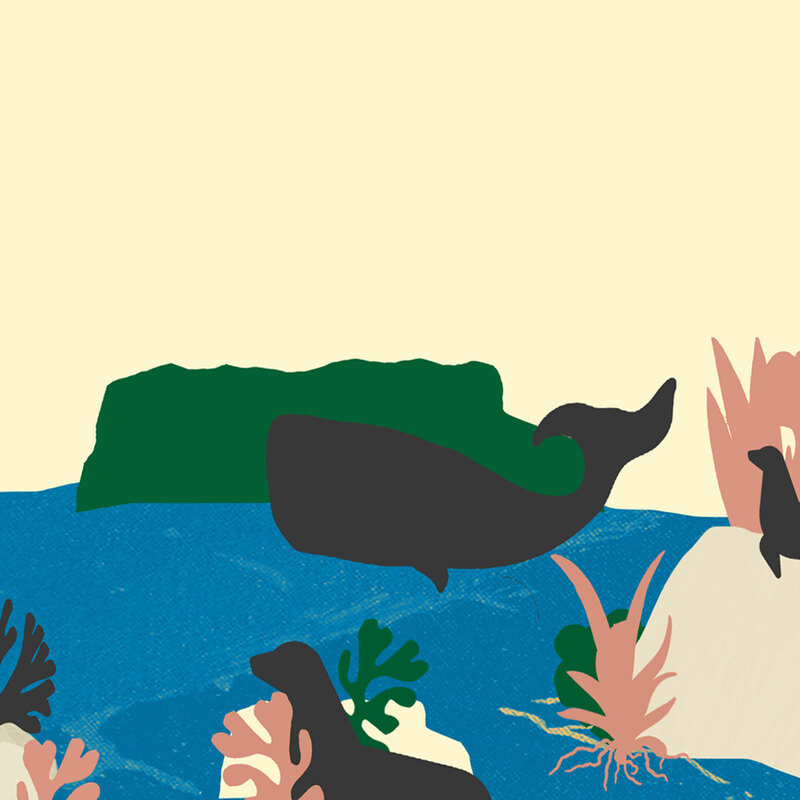 – three diverse and striking talents, and three of the finest new Nordic artists out there. 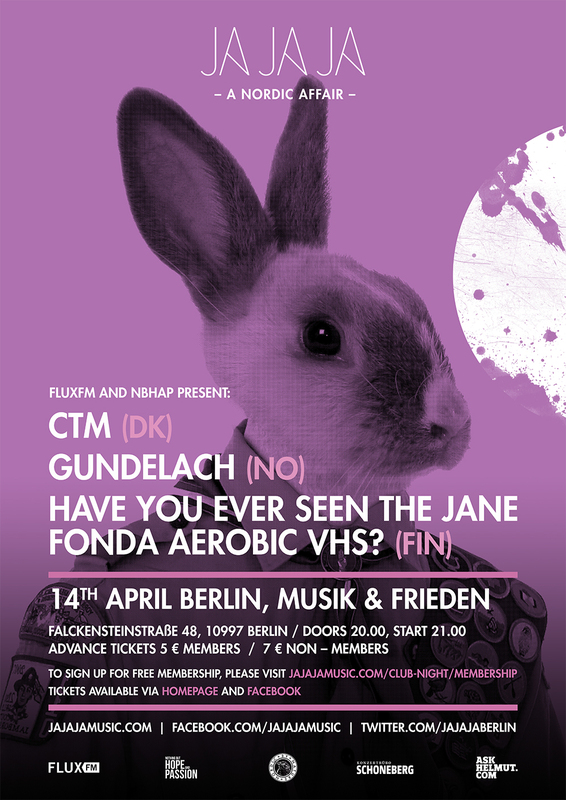 CTM | Gundelach | Have You Ever Seen The Jane Fonda Aerobic VHS? CTM is Denmark’s Cæcilie Trier Musik, cellist, singer, composer, Choir Of Young Believers member, and now, a highly respected solo artist in her own right. 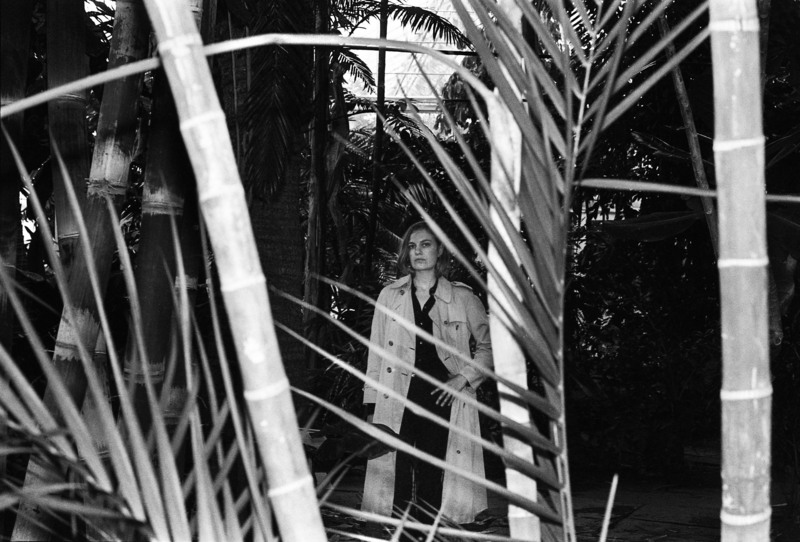 CTM first arrived in this musical incarnation back in 2013, when she unveiled her debut EP Variationsto much excitement and acclaim. 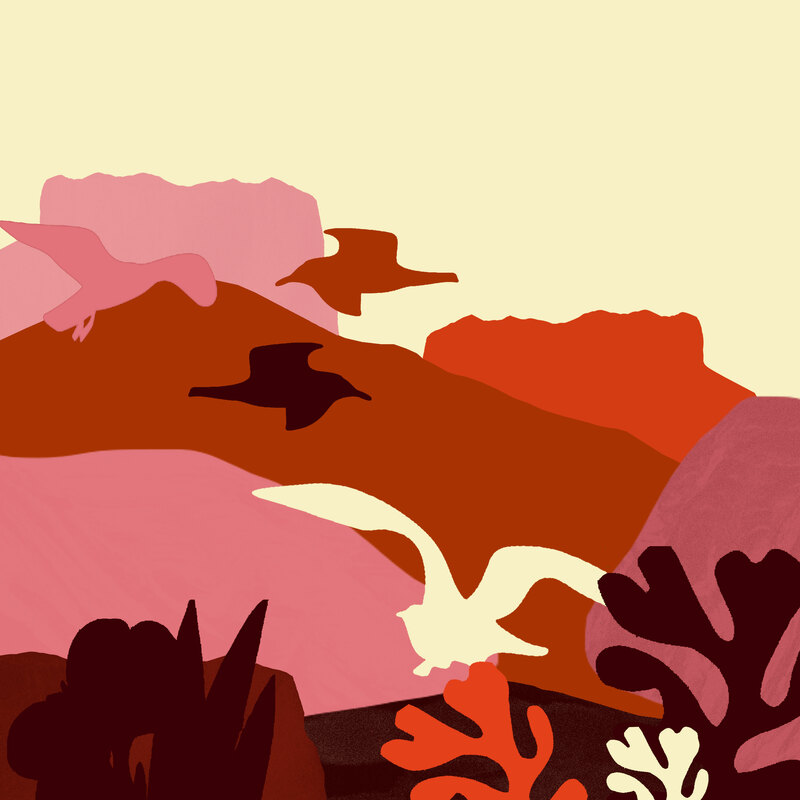 After a short absence, CTM returned in 2015 to reveal the first taste of new music via the track ‘Cézanne‘, and has now freshly released a mini album entitled Suite for a Young Girl through Danish label Tambourhinoceros. In an interview with The Line of Best Fit, Trier describes the thought process behind creating the record: “I thought of it as making a mini musical or opera out of [these] lyrics, following any impulse to change directions and mode giving structures no other thought than the intuitive”. Bringing modern experimental popular music to the forefront, CTM is a truly inventive artist – as demonstrated in the creativity flowing through her videos – so make sure to explore Suite for a Young Girl ahead of CTM’s upcoming performance to get a good grasp of the different dimensions of her music before it’s brought to life at Ja Ja Ja. 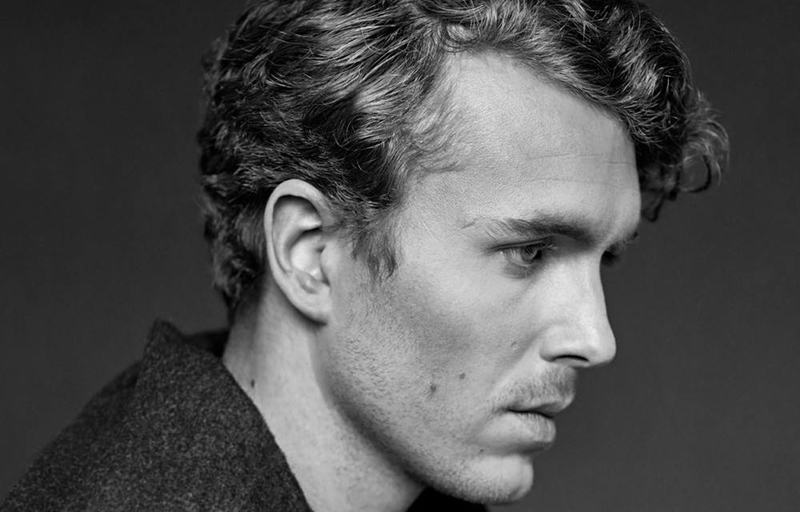 Ever since Norwegian DJ-turned solo artist Gundelach debuted in late 2015 with his single ‘Spiders’, he has quietly been making waves. The single is co-produced by Joel Ford (Oneohtrix Point Never, Cyril Hahn, Com Truise), in the Nordics it was a radio hit and landed him festivals slots on some of this coming summer’s biggest stages like Øya, Roskilde and more. Internationally, it was #1 on Hype Machine, picked by Pharrell for his Beats1 show and garnered millions of streams. After recently playing Sentrum Scene in Oslo to 1500 people, his new single ‘Fjernsynet’ is poised to lift him to new heights with its cooly delivered falsetto over a driving rhythm accentuated by beautiful analog-electronic production. It’s a broody, melancholic and catchy anthem for driving late at night and the centre piece of his forth-coming debut EP. HAVE YOU EVER SEEN THE JANE FONDA AEROBIC VHS? is a strange bird in the Finnish rock scene not only because of their long name, but also because the band doesn’t have a guitar player. Instead melodies and distorted sound walls are created by good old Casio and Eco-organs. Packed with 60’s girl group/soul melodies, bubble gum punk riffs and pounding drums, which will make your eardrums bleed, this newcomer is truly something to get to know. 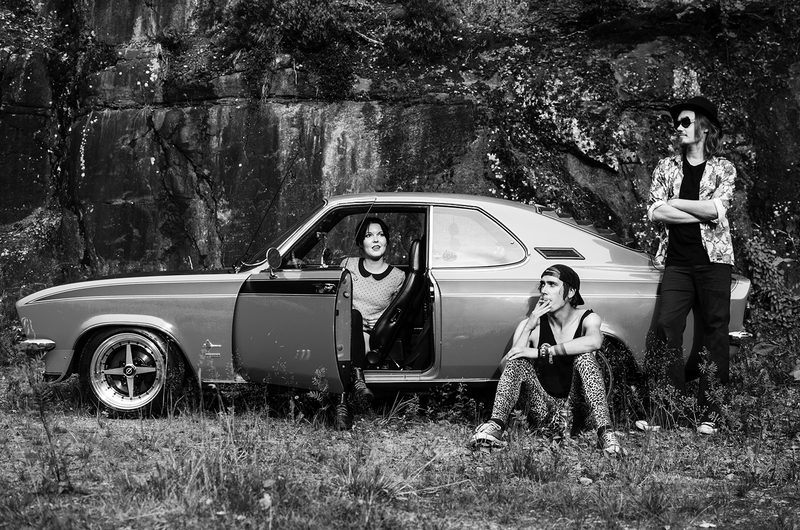 Their debut album Teenage Sweetheart was released in September, recorded at an old accordion factory which serves as their rehearsal space and was mixed by Santtu Vainio (French Films). The band has been touring actively in Finland in 2015 and performed also on festivals like Flow Festival and in 2016 are confirmed to play The Great Escape, Roskilde, and of course, Ja Ja Ja in Hamburg and Berlin! Sign up as a Ja Ja Ja Germany member!